Other projects in the investment include the MasterCard Safety Net, which will provide an additional layer of security that can, in “extreme cases”, intervene and block transactions before bank systems notice them. 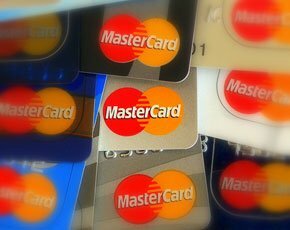 “These new activities will help us continue to deliver the tools and solutions that instill peace of mind by protecting each transaction that crosses our network,” said Chris McWilton, president of North American Markets at MasterCard. “While progress is being made with the move to EMV [the Europay, Mastercard and Visa global payment standard] and mobile payments, our continued investments reinforce the efforts we are taking to protect the payments system for cardholders, merchants and issuers. That’s at the heart of what our cardholders expect when they see our brand mark,” said McWilton. Working with First Tech Federal Credit Union in the US, MasterCard will test a combination of biometrics, such as facial and voice recognition and fingerprint matching, for customers to prove their identity. The initial popularity of Apple Pay has revealed an appetite among consumers for biometric security features. The Apple Pay system allows iPhone 6 and iPhone 6 Plus users to pay for goods and services using a combination of the mobile wallet and fingerprint authentication. In October 2014, MasterCard said it was developing a payment card with a built-in fingerprint authentication sensor, in partnership with Zwipe. The card will allow customers to make contactless payments, using their fingerprint to confirm who they are. This increases the security of the transaction and eliminates the need for PINs and passwords. According to a recent study from Visa Europe, the new generation of banking customers would rather use biometric security devices than PINs and passwords for authentication. The payments firm found that 75% of 16- to 24-year-olds – or generation Z – said they would have no problem using biometric security, with 69% expecting it to be faster and easier than a password or PIN. Image courtesy of Taekwonweirdo on Flickr.